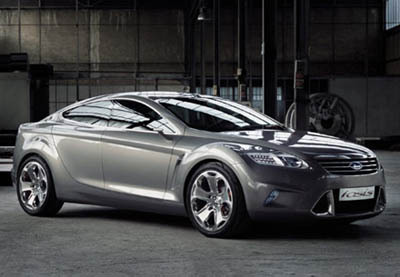 The Ford Iosis concept car from the 2005 Frankfurt Auto Show ws the preview replacement model for the existing Ford Mondeo. 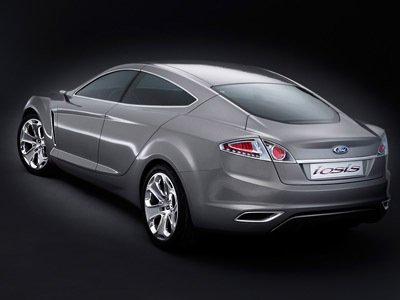 The Iosis takes Fords design language in a completely different direction, with an all new design philosophy. 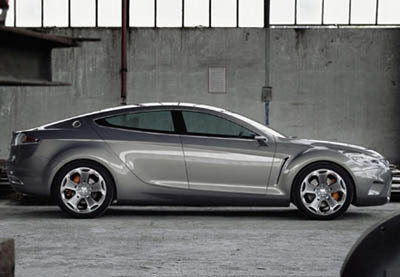 The design itself drew on inspiration from both Jaguar and Lexus, although a bit of Mazda RX8 sneaks into the front arches. 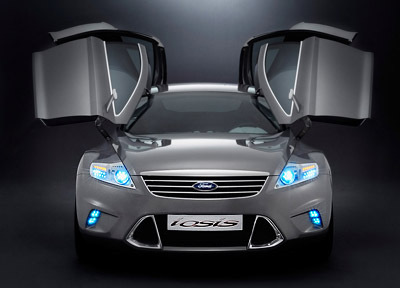 The Iosis incorporates quadruple gull wing style doors which fan out either side of the car. The Iosis' bonnet complies with the latest pedestrian safety laws, and as such sit higher than the Mondeo's allowing a cushioning zone between the flexible bonnet and hard unforgiving engine. Ford had toyed with the idea of a pop-up bonnet but the technology was too expensive for such a model. 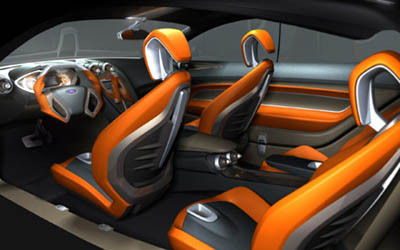 The interior of the Iosis is advanced and stylish, orange accents highlight the seats, steering wheel and center console. The console also features a system similar to BMW's iDrive, a possible indication of Ford's intentions.